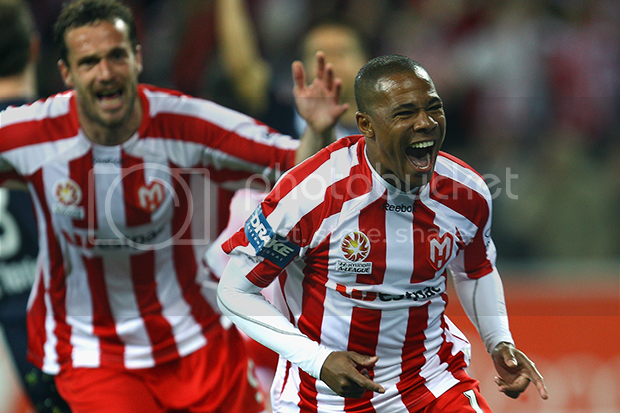 Here we take a look at Melbourne Heart FC's five most memorable victories under Head Coach John van't Schip. On Wednesday it was announced that Melbourne Heart FC Head Coach John van-t Schip would be staying on board at the Club for a further three seasons. Van-t Schip was the club-s inaugural coach and managed the clubs for two seasons before taking over at C.D Guadalajara in Mexico in 2012-13. He then returned to Melbourne as a technical director at the start of the 2013-14 A-League season, before becoming interim coach following the dismissal of John Aloisi in December of last year. Van-t Schip has been a part of a number of memorable Melbourne Heart moments, and here we will take a look at his five most memorable victories. 5. Melbourne Heart FC vs North Queensland Fury - AAMI Park 4/9/2010 Melbourne Heart kicked off their inaugural season with a game at home against Central Coast Mariners, but their first win at AAMI Park did not come until round five against the now defunct North Queensland Fury. The conditions were far from ideal, but Melbourne Heart managed to secure a 1-0 win thanks to an 11th minute header from one of only two players still at the club in 2014, Nick Kalmar. 4. Melbourne Heart FC vs Melbourne Victory - AAMI Park 1/3/2014 It had been exactly 512 days since the last time Melbourne Heart had won a derby when these two sides met earlier this month. But Van-t Schip-s men had not been in a better position to break that drought, and did so in emphatic fashion. Orlando Engelaar opened the scoring in the ninth minute before Mate Dugandzic made it 2-0 a few minutes later. Heart dominated for the rest of the game but had to wait until the 83rd minute for the next goal, scored by Heart-s top-scorer David Williams. But Heart were not done there, with Harry Kewell scoring a brilliant left-foot strike to make it the biggest ever derby win by either side. 3. Adelaide United vs Melbourne Heart FC - Hindmarsh Stadium 17/12/2010 Melbourne Heart-s Round 22 clash against Adelaide United back in 2010 is considering one of the greatest turnarounds in A-League history. After a run of six losses in their last seven games and trailing 1-0 away to Adelaide United in the 88th minute, few expected Melbourne Heart to get anything out of the game. 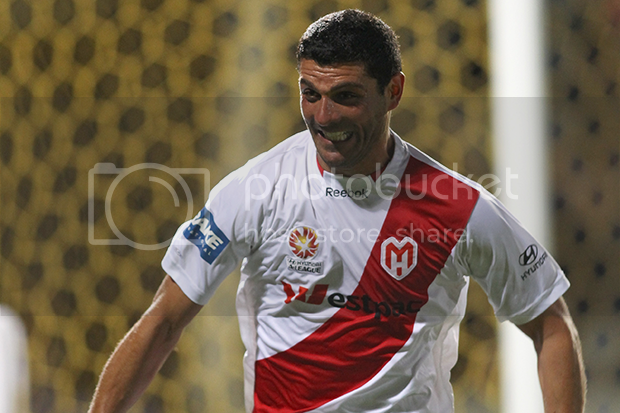 But Heart showed character to keep on fighting and were rewarded with an equaliser with just one minute left on the clock, with captain Simon Colosimo netting the goal. The Adelaide fans were shocked, but not as shocked as when John Aloisi stood up in the 92nd minute to give Heart a memorable 2-1 win. 2. Wellington Phoenix vs Melbourne Heart FC - 16/2/2014 Melbourne Heart were on a run of three wins in their past four games, but had failed to win a game outside of Victoria (excluding Albury) in over two years. So coming up against an in-form Wellington Phoenix in New Zealand was always going to be a difficult task. But when you look at the final score from that game, it would appear as though it was a walk in the park. 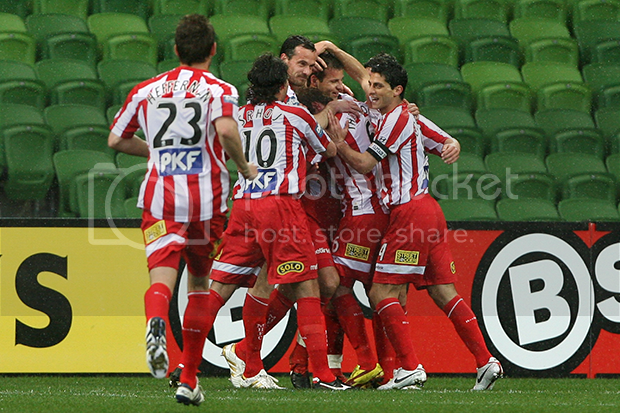 Melbourne Heart ran out 5-0 winners at Westpac Stadium, which included a hat-trick from David Williams. It was also Orlando Engelaar-s first goal for the club, a screamer to open the scoring. 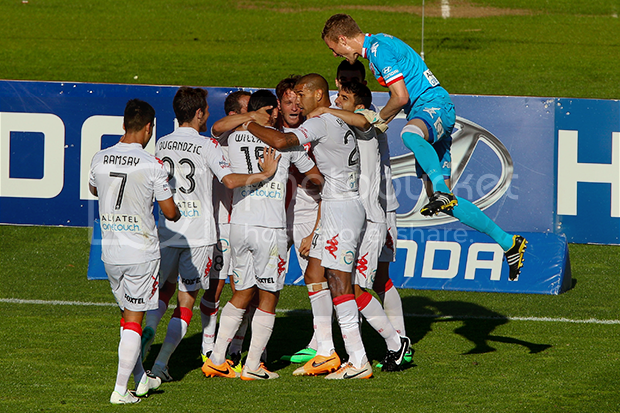 The win was the first and only time Melbourne Heart have ever scored five goals in a game, making it their biggest ever winning margin. 1. Melbourne Heart FC vs Melbourne Victory - 8/10/2010 There is no more memorable a win so far in Melbourne Heart-s history than the 2-1 win in the first ever Melbourne derby. It was the first time in the A-League that two sides from the same city came up against each other, with Heart coming out on top in-front of a sold-out AAMI Park. It took just 10 minutes for Melbourne Heart to take the lead, with none other than John Aloisi scoring the first ever Melbourne derby goal. Victory managed to level the scores through Robbie Kruse eight minutes before half-time, with the sides locked at 1-1 going in to the break. But up stood Alex Terra, and in the 56th minute he fired Heart back in to the lead after getting on the end of Rutger Worm-s perfect cross. 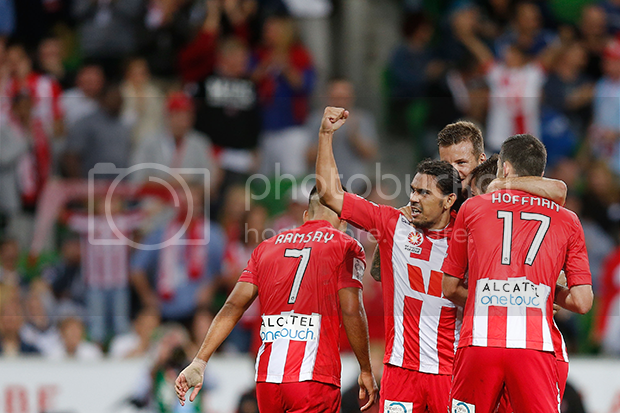 Despite going down to 10-men after Aziz Behich received a second yellow card on 74 minutes, Heart held on for the win in one of the most special night-s in A-League history.